Introducing Field Works. 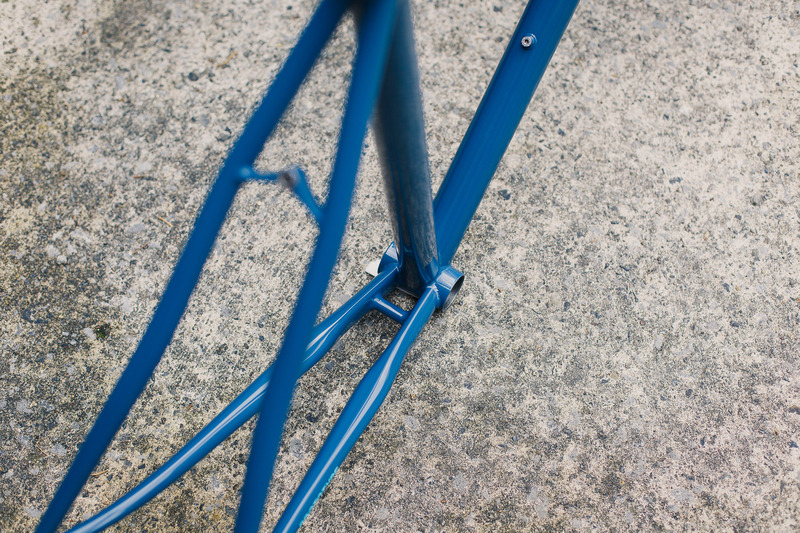 Highly crafted TIG-welded steel framesets, manufactured in limited numbers in house at the Field Cycles Workshop, Sheffield UK . Field Works is the distillation of everything thats gone into every Field to leave our workshop. 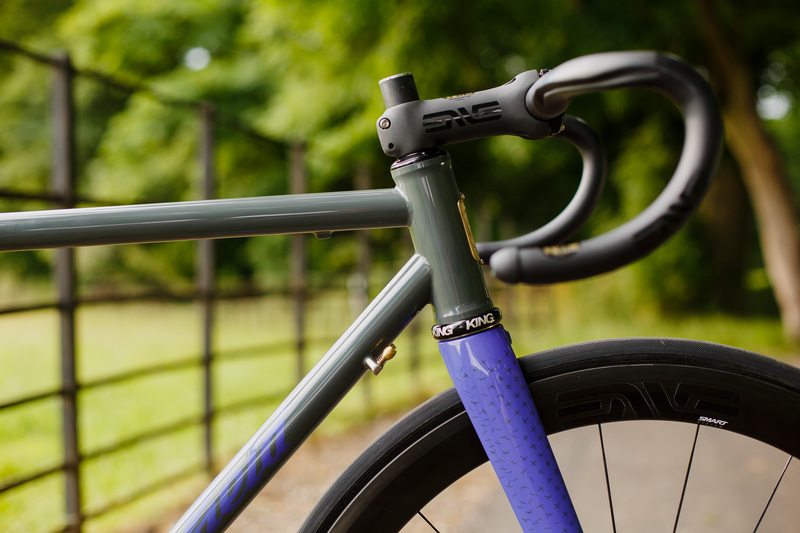 The framesets share our own unique proprietary frame parts found on our bespoke bicycles and are finished with the same unmistakable Field aesthetic and flair but forgoe the full custom process. 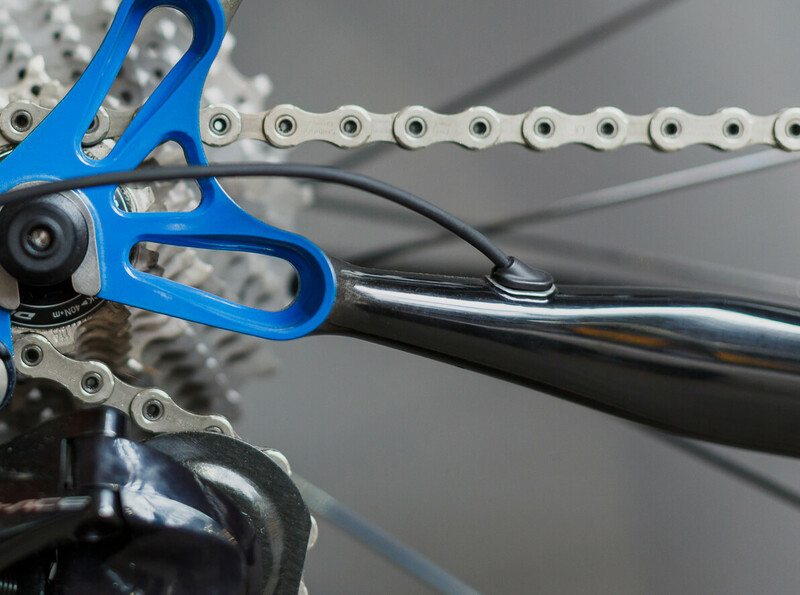 By refining our process and streamlining our production method we’re able to produce extremely sought after bicycles with only a 8 week lead time. 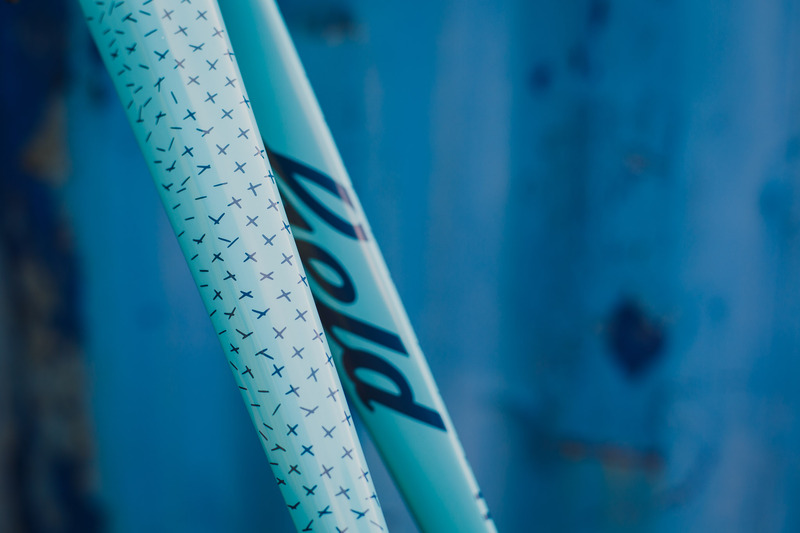 Combining serialised paint designs with a choice of colour ensures each Field Works Bicycle shares the same aesthetic upon which Field’s visual style is founded, each bicycle is truely one of one on planet earth. By keeping consitent deisgn elements across our Works framesets, but with an unlimited choice of colour ensures every one of the Field Works framesets to leave the workshop is individually unique. 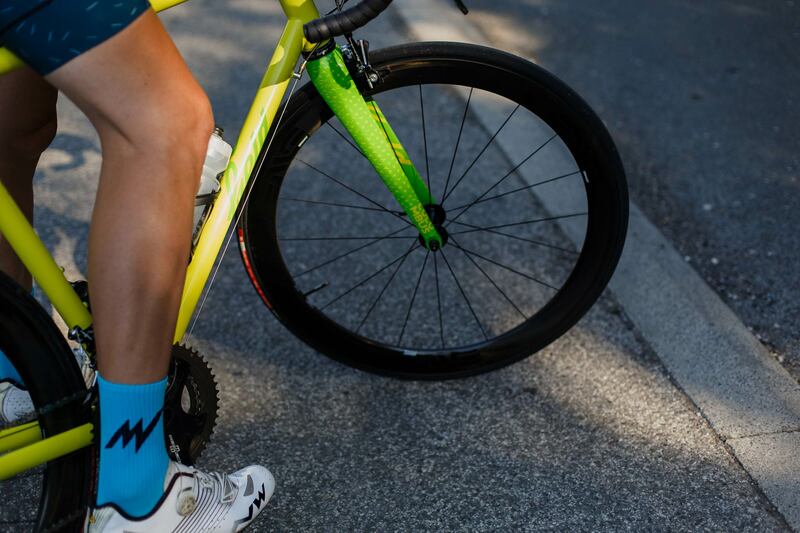 Whether bright and loud, or dark and stealth, we’ll work with you to colour your frameset to your individual taste. 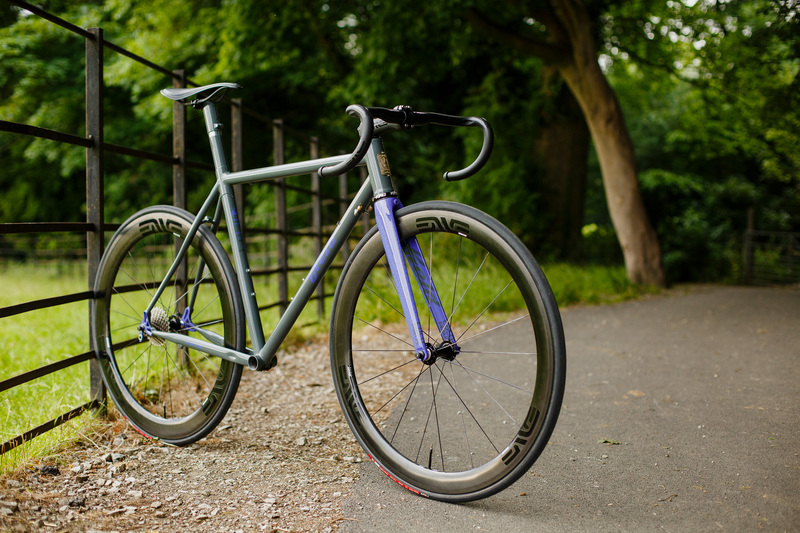 Unique to a Field frameset - Designed and CNC machined in Sheffield from EN19T steel with 304 Stainless 'saddles' Silver brazed in to provide a corrosion free unpainted surface in wear areas. 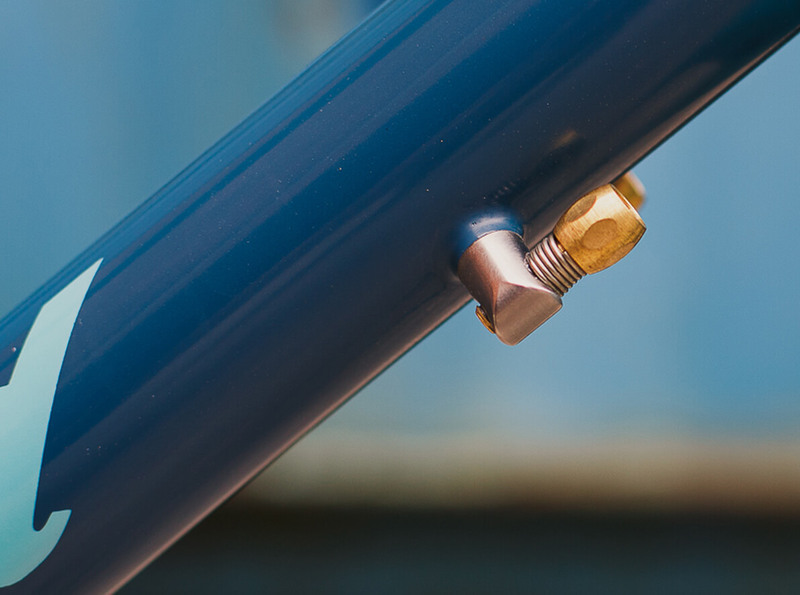 Our functional and beautiful Field Cycles dropouts are immaculately fillet brazed to Columbus Life short taper chainstays and are a big factor in the unique 'Zingy' ride and feel of a Field frameset, designed to be super stiff and provide a flex free connection between chainstays and the rear wheel to get all the watts out on the road. Deliberately sculptural and intended to make your Field stand out from the crowd. 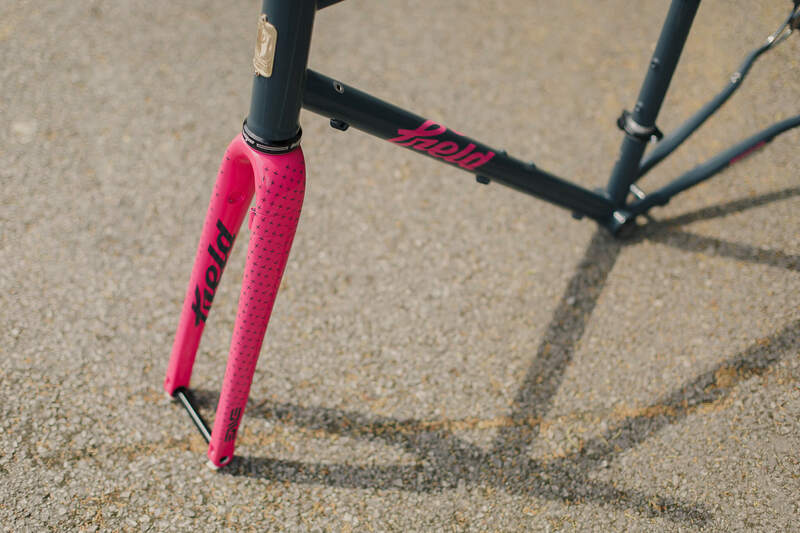 Field Works builds on the culmination of skill, experience and fastidious attention to detail that goes into every one of our bespoke framesets. 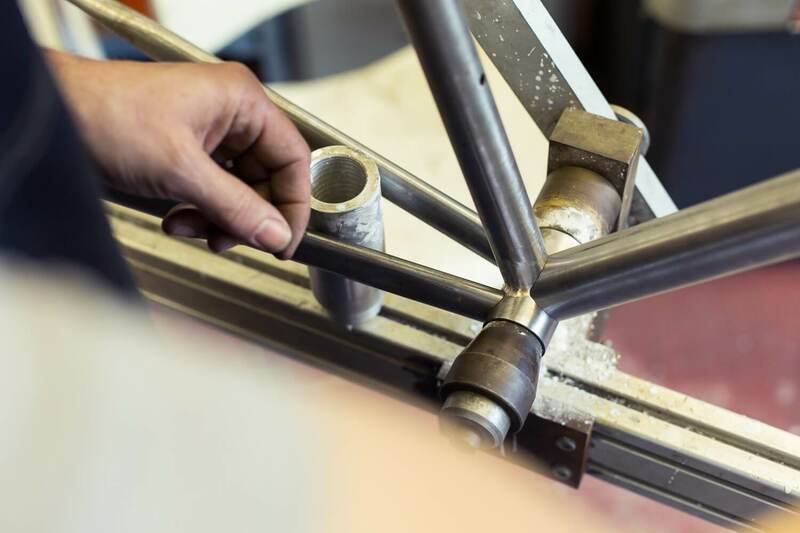 By selecting the same high quality steels paired with a Tig welded process, we’re able to streamline our manufacturing process and can now offer semi custom framesets without the lengthy agonising wait of a fully bespoke Field. Current lead time 8 weeks. Built with a Front triangle from Reynolds 853 Pro Team oversized tubes - the thinest walled 853 tubes specifically made for road frames - heat treated to increases the yield strength of the tube which provides excellent dent and impact resistance and produces a strong light structure particularly suited to the Tig welding process. 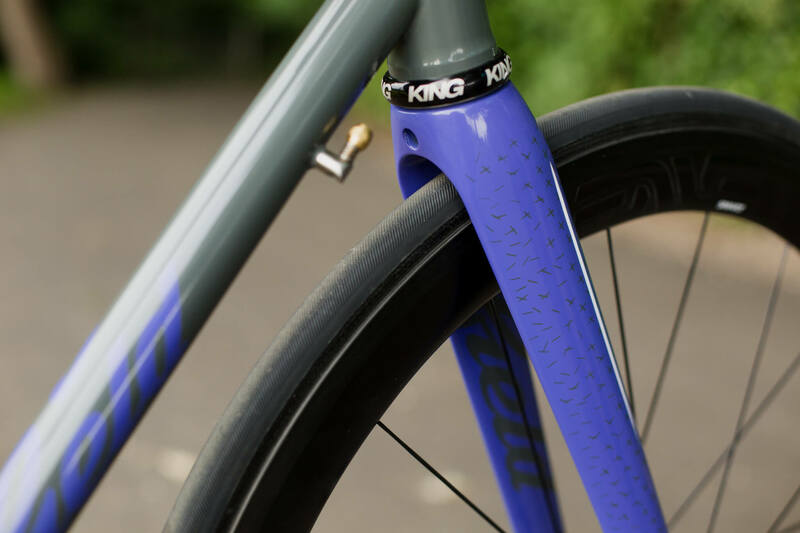 The rear triangle is built from Columbus Life tubes - often used on our bespoke framesets, Columbus Life tubes are formed in Niobium Steel Alloy which has incredible resistance to fatigue and high strength. 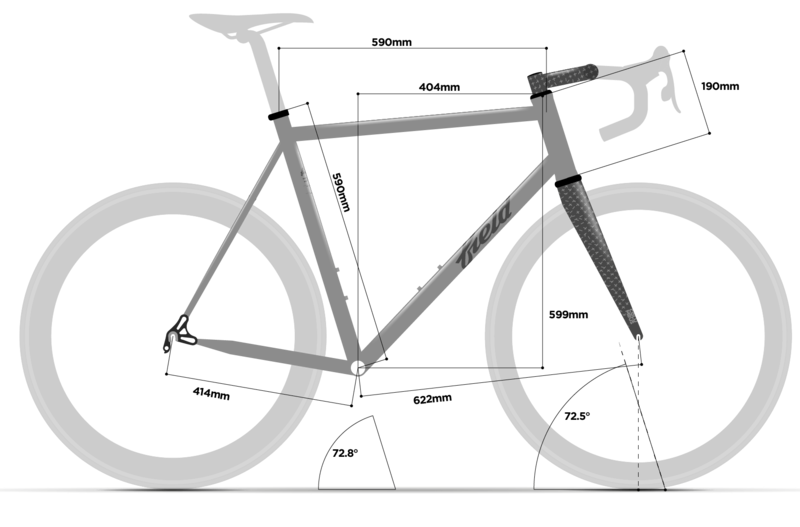 The elegant rear triangle uses the short taper S-bend chainstays producing a fantastically rewarding and responsive ride. 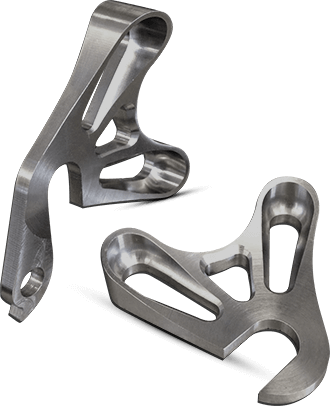 The S-bend seatstays are further shaped in our specific dies to produce a vertically complaint flattened profile. Whatever your preference, we've got it covered. With a choice of Di2 internal cable routing, mechanical cable routing or eTap wireless - choose the option that suits and fully dial in your Field to the groupset you will be using, no need for surplus cable bosses cluttering up the clean lines of your frameset. Includes Frame, Fork, seatpost clamp and choice of Mechanical, cable or Wireless gear routing. Postage and packaging - UK £35, Europe £85, Rest of World price on request. Full ENVE builds available - £POA. A £600 deposit secures the production of your frameset, and your position on the build list. 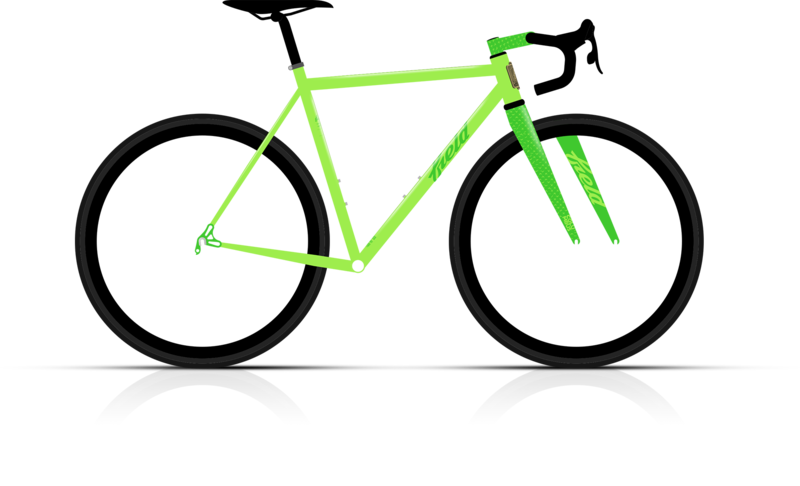 We’ll contact you following your order to discuss your sizing, paint, gear routing and any optional extras. Current lead time is 8 weeks. 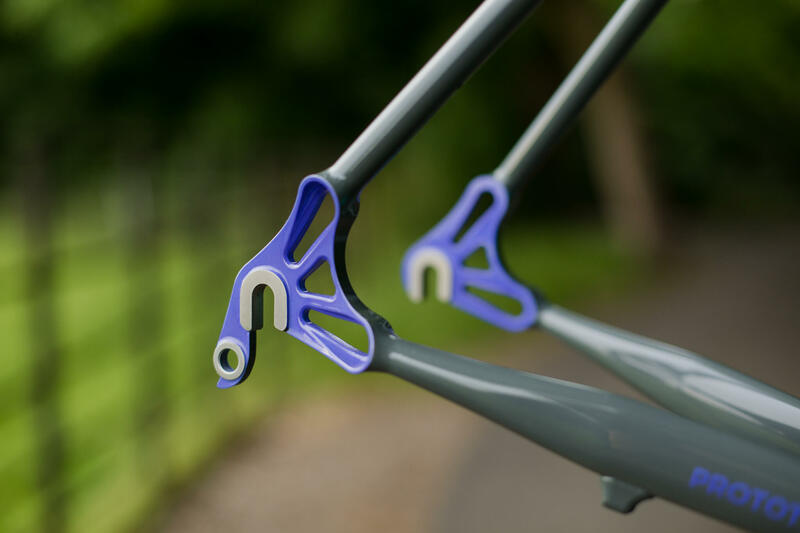 We're always working on new frame designs, flatmount brake options, paint schemes and other Field products, which we'd like to tell you about - sign up to our e-newsletter to keep upto date with all the latest via email. We'll never sell or share your details with third parties. Your data will be held by our e-marketing provider. You can opt-out at any point.